As you’re probably aware by now, I’m a big fan of pocket squares. The right pocket square can make an already outstanding outfit look even better, and they can set you apart from the rest of the pack. They tell the world you’re a guy who knows what he’s doing and you care about details. We’ve already gone over my 5 rules of pocket squares and how to mix pattern shirts with pattern ties, so today I’d like to combine those and touch on mixing and matching pocket squares with ties. We already know your tie should not exactly match your pocket square, so the question is, how do you match up a pocket square with a tie so it doesn’t look cheesy? 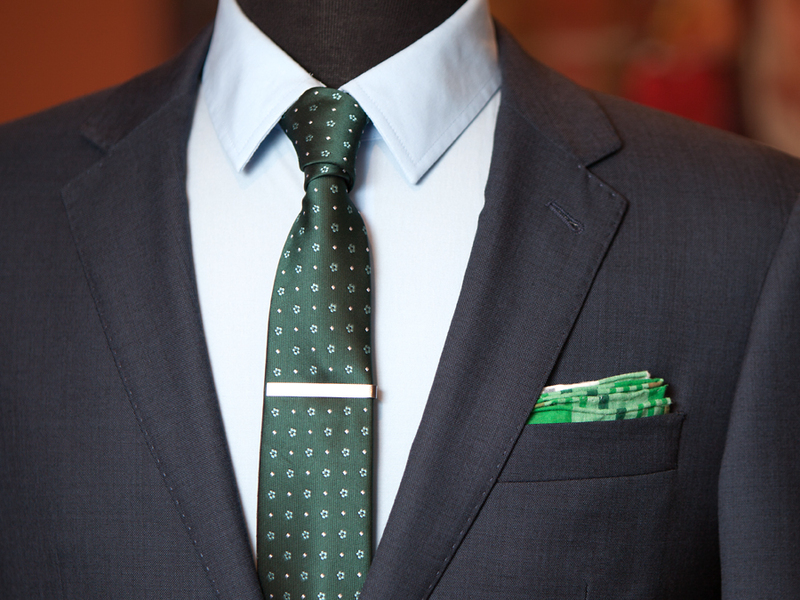 First of all, your pocket square doesn’t have to match your tie. It can match anything else you’re wearing, but for the sake of this post, we’ll keep it related to the upper half of the outfit. 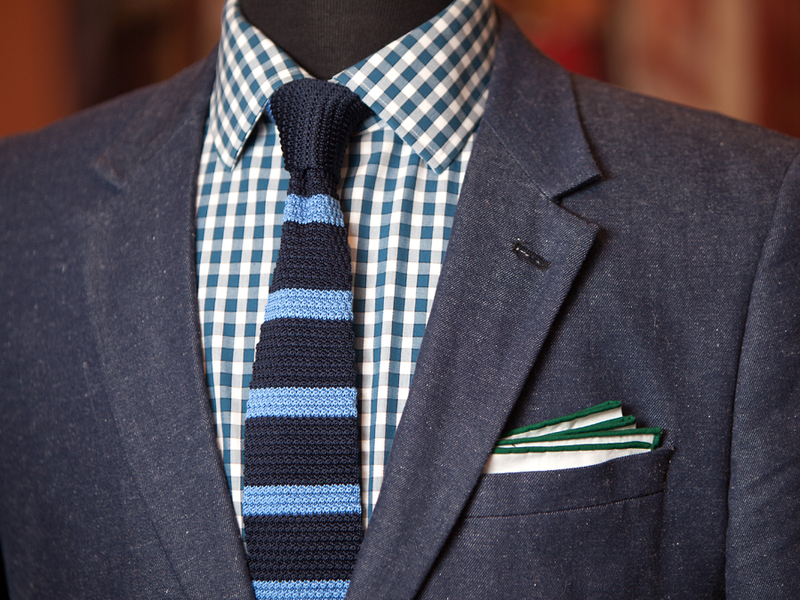 In the picture above, we have a navy jacket, a light blue shirt and a green tie with dots. I decided to go with a different color green in a plaid pattern with some orange and white. This is a pretty easy choice, but if the tie had some small yellow dots, you could easily go with a yellow pocket square to pick up the subtle yellow color in the tie. 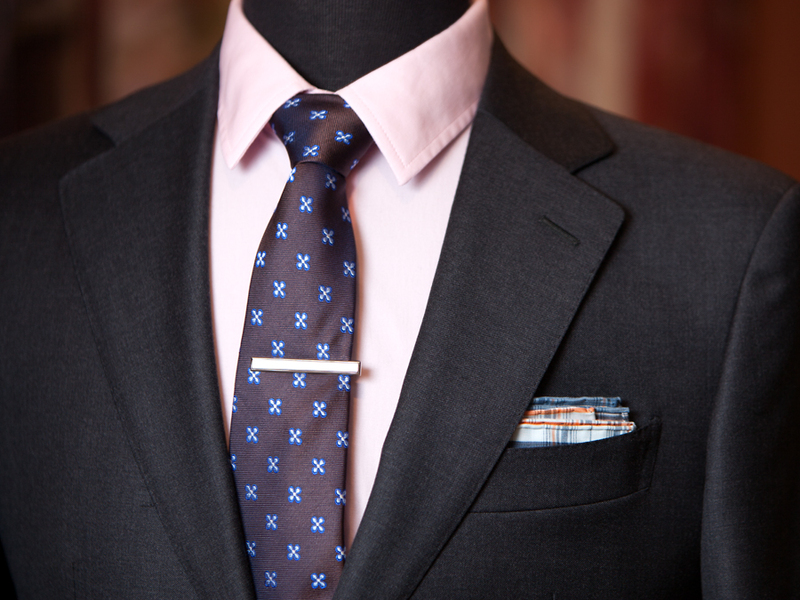 In the images below, I’ve gone with a few different pocket squares to show how you can match with the tie or the shirt. This first example I decided to go with a green boarder pocket square to pick up on the greenish-blue color of the shirt. Notice the wide stripe tie goes with the gingham shirt because they’re dissimilar patterns and dissimilar size patterns. 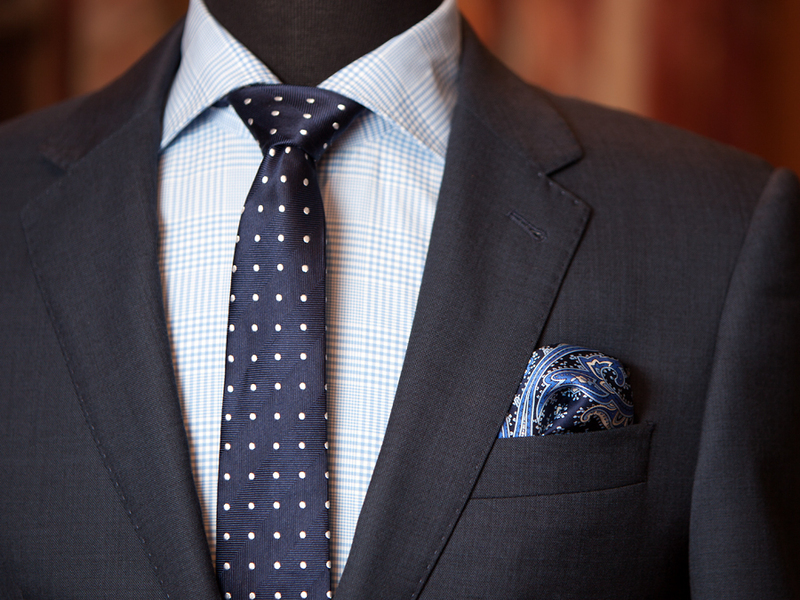 Then I went off the darker blue in the tie with a pocket square in a dot pattern. In this next one I played off of the light blue in the tie with a paisley dot pocket square. Next, I went with a pink shirt and a brownish-purple tie with gray and blue in the patterns. For the first example I went a little different with a orange plaid pocket square with red and gray colors. 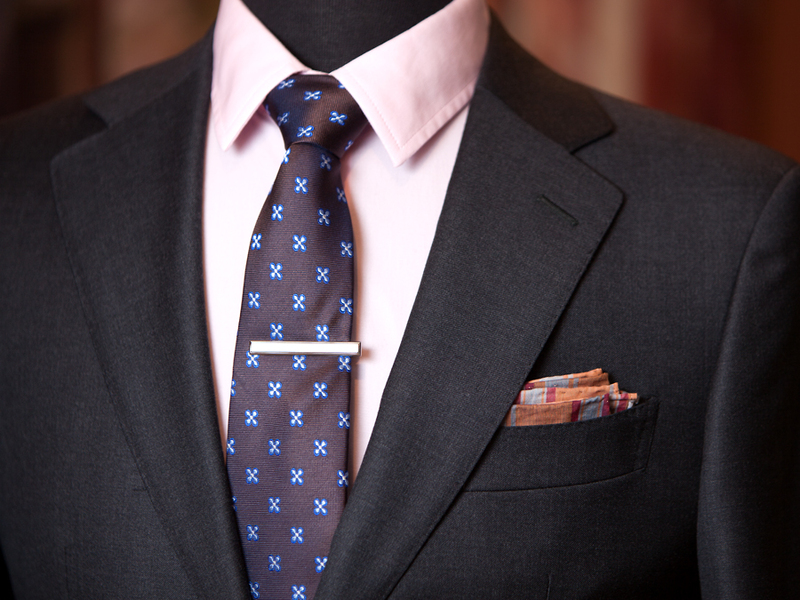 The orange picks up the brownish color of the tie, and the gray picks up the gray in the patterns. This would also go great with brown shoes & belt. 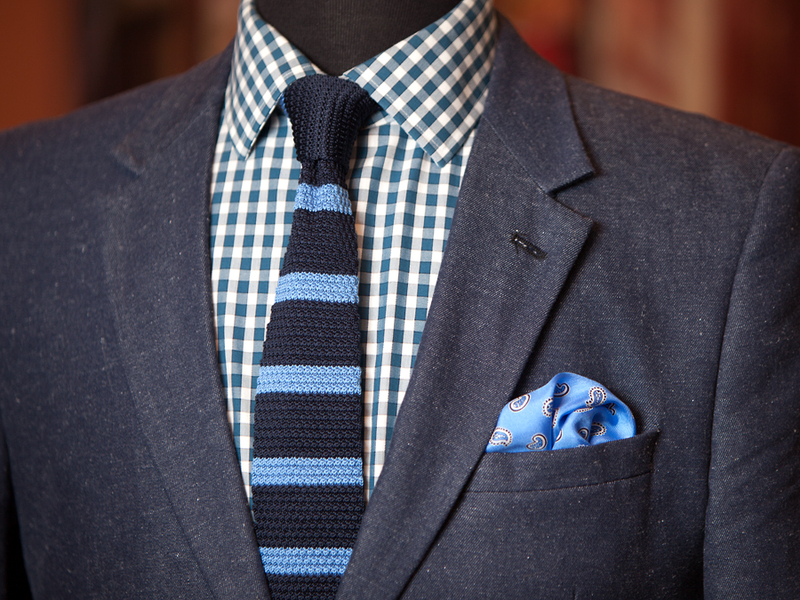 For this example, I wanted to pick up the blue in the tie with a blue boarder pocket square. Finally, I went back to plaid with some blue & orange colors. 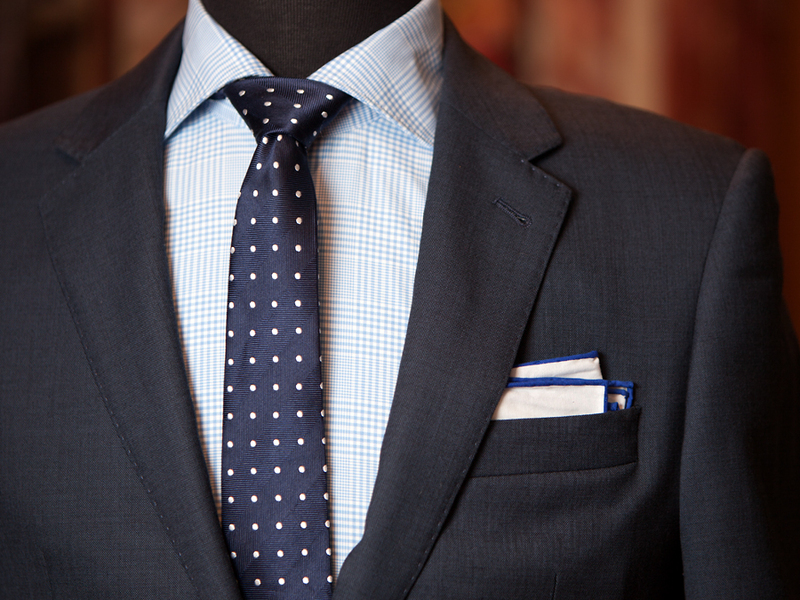 Since the tie has a dot pattern, plaid works well against it. 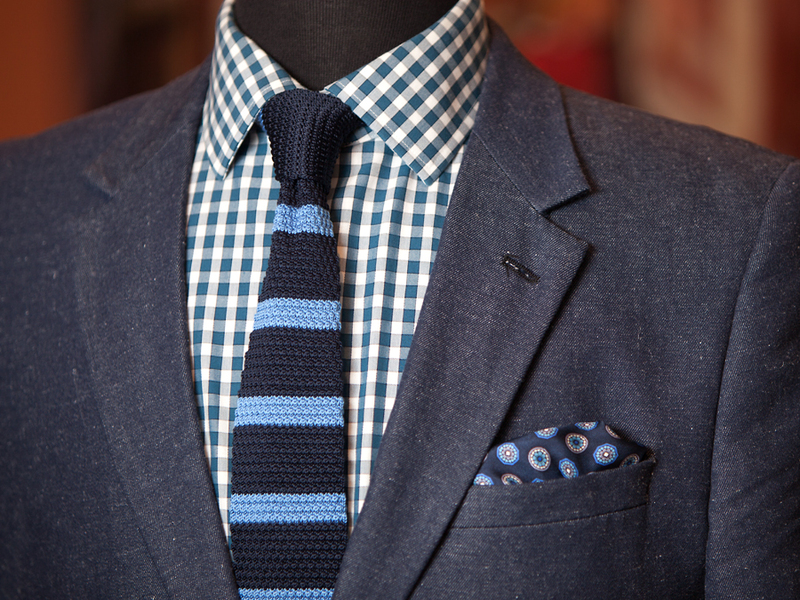 Next up, we’re mixing a blue patterned shirt with a blue patterned tie. Picking up the dark blue from the tie, I went with a dark paisley pattern. I’m still holding to the three-pattern rule and they’re all dissimilar. 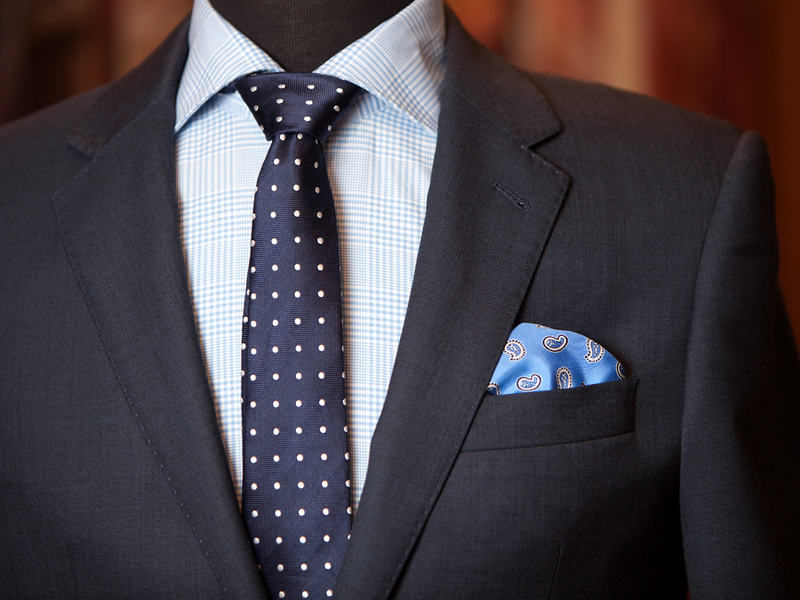 The next option is the blue boarder pocket square. Next, I went with a light blue dotted paisley pocket square. 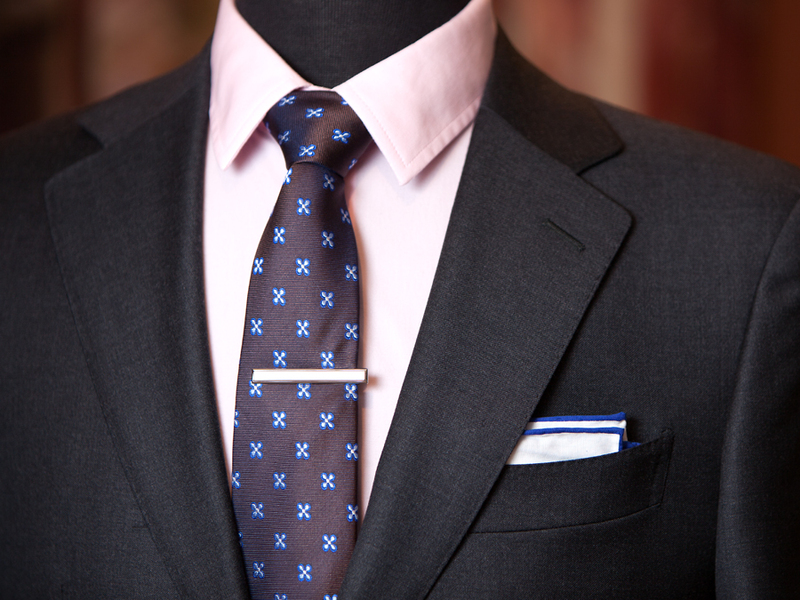 Notice the dot pattern is dissimilar from the dots on the tie in both size and scale.